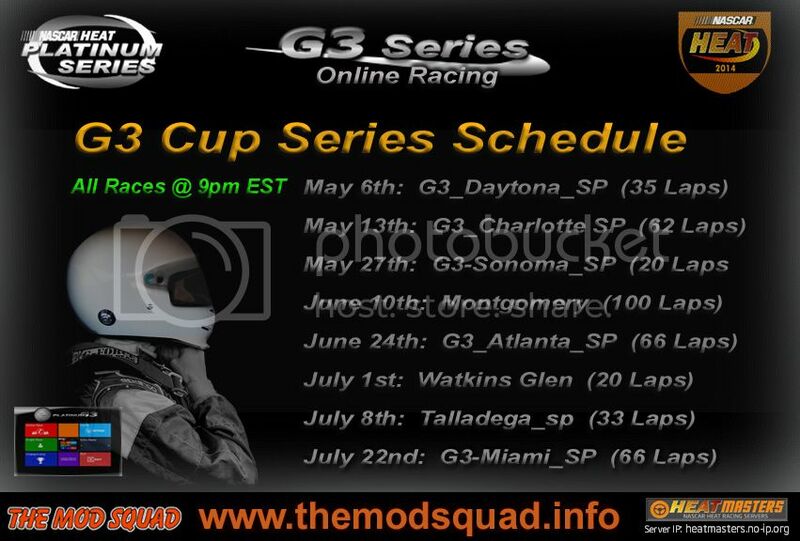 Get ready for the 4th Season of G3 Cup Series!! The fun starts on May 6th. Eight exciting rounds to find out who\'s the best driver in HEAT community!! CruiseCtrl and Pettyfan (aka Spike) will be racing marshals this season. All races will be covered by BlaxTV as usual. Don\'t waste time! Sign up now and tell your racing friends to join in!! What are you waiting for?? ?